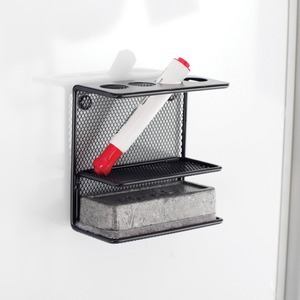 Marker Holder with shelf and magnetic back is a convenient whiteboard accessory. 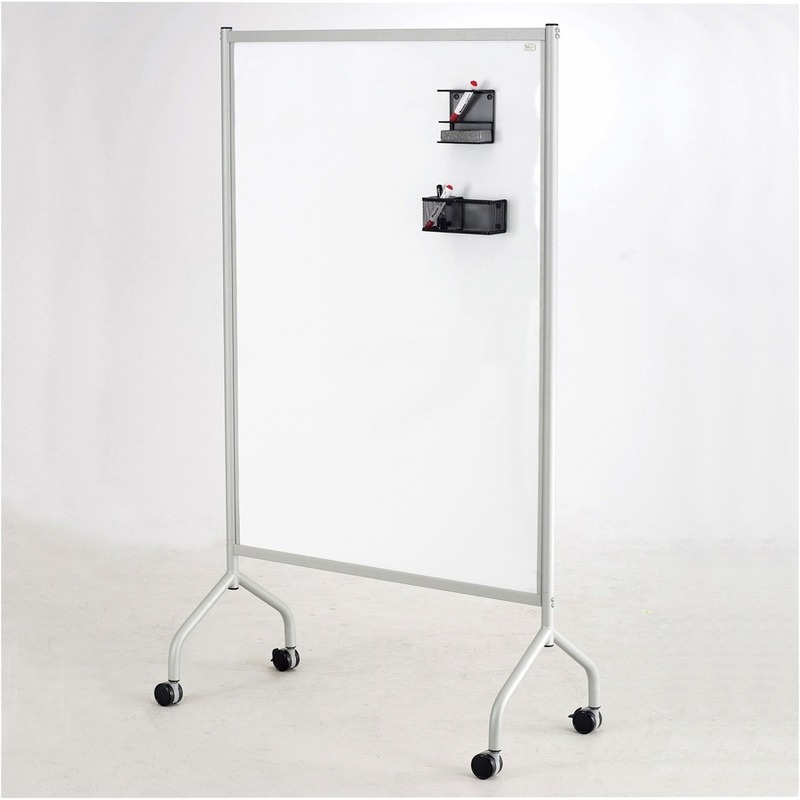 Use Rare Earth magnets on any magnetic surface including magnetic glass markerboards. Four stand-up marker slots keep your markers easily accessible. The included, 5" wide shelf stores your eraser close at hand. 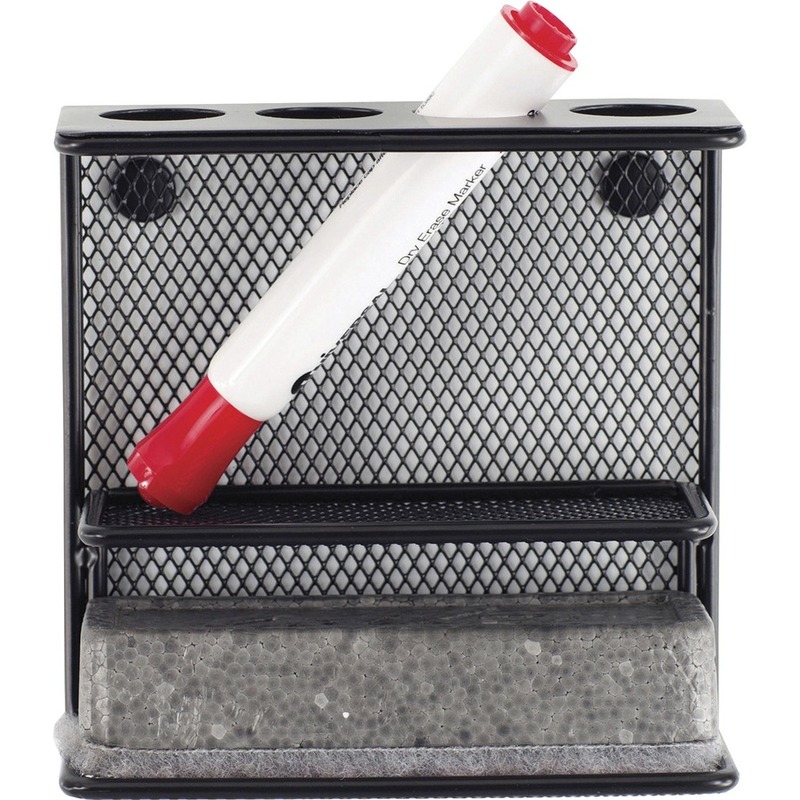 Holder is made of steel wire mesh with black powder-coat finish.